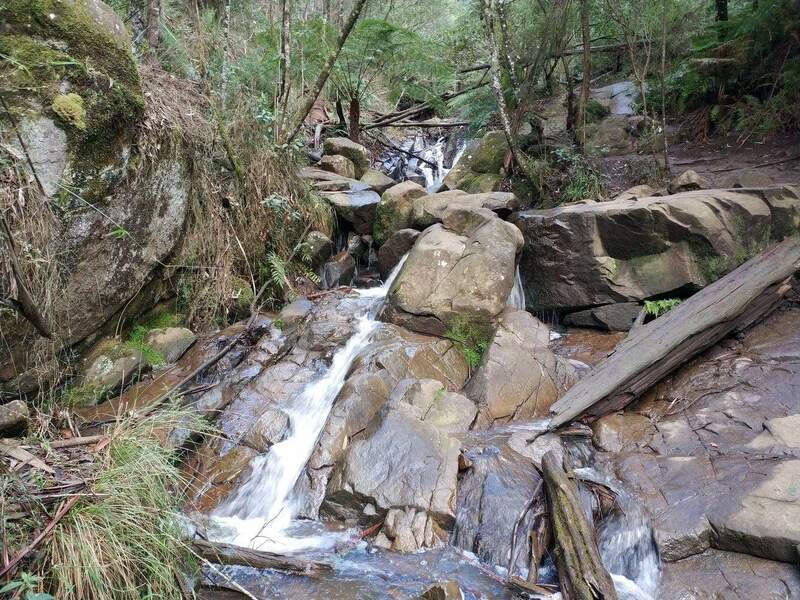 Soak up in the picture-perfect scenic landscape of Olinda Falls while visiting the wonderful tourist spots of Mount Dandenong. With numerous public and private gardens containing native flowers and picnic grounds, Olinda Falls is a popular tourist spot amongst visitors. While boasting a tranquil natural setting, the area is a favourite amongst many, during both the hot summer and frosty winters. 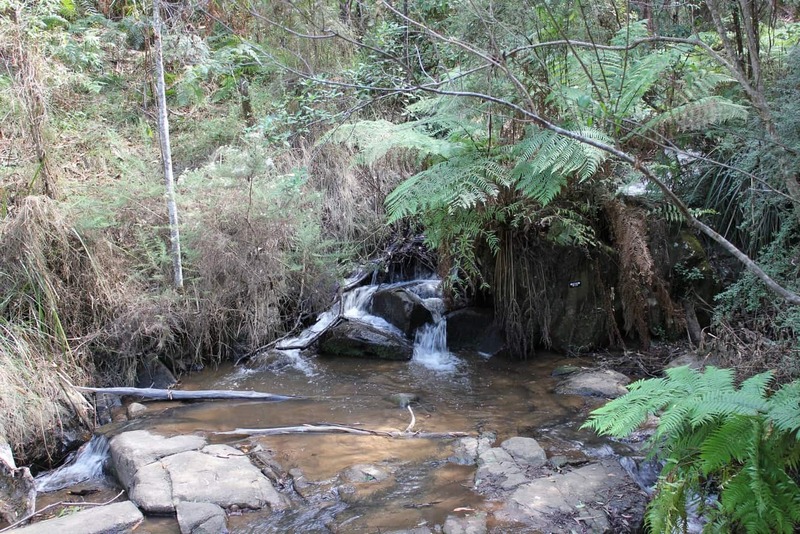 The falls is located within the Olinda Reserve, which can be accessed through Falls Road. The Olinda Falls boasts a viewing platform and various lookouts, from where you can see the stunning views of the surrounding landscape. 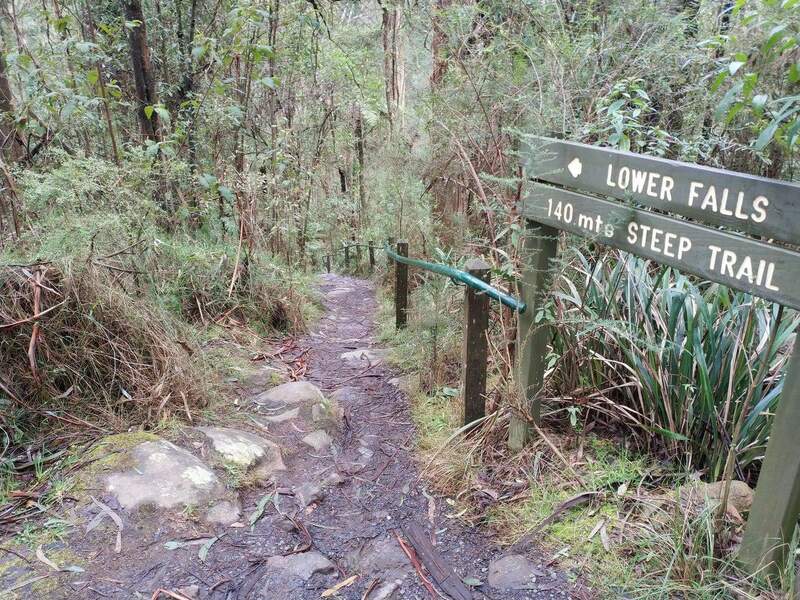 The walk to Olinda Falls takes up to about 10 minutes, but note has no steps and minimal gradient. Amenities onsite include a car park area, picnic tables and unisex toilet with wheelchair accessibility. The nearby National Rhododendron Gardens house thousands of azaleas, rhododendrons, daffodils and camellias. There are also a few rare and historic plants at this park. 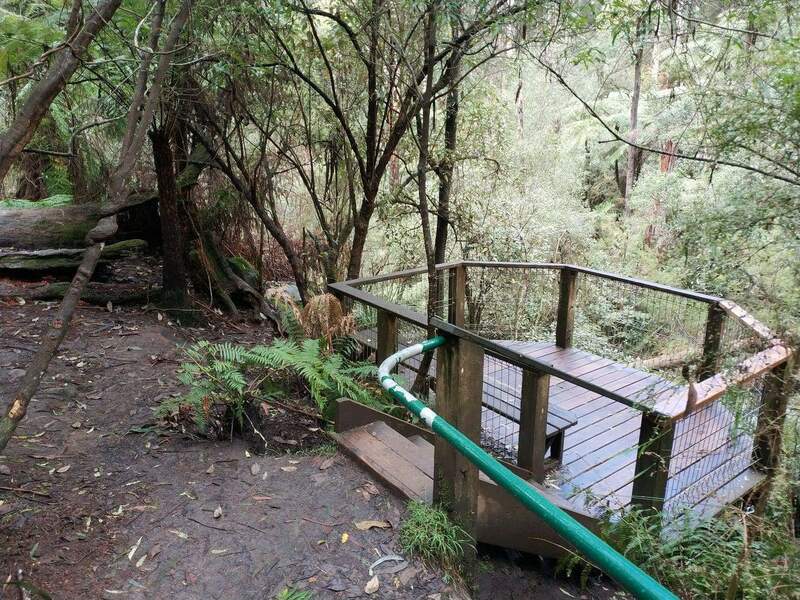 Aside from visiting the National Rhododendron Gardens, take a trip to Olinda’s other attractive private and public gardens; including the Pirianda Gardens and William Ricketts Sanctuary. 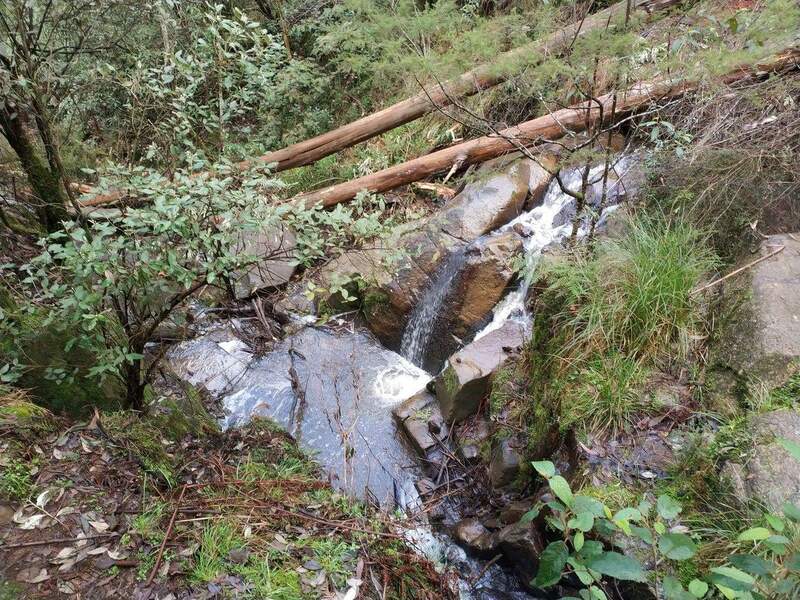 How far are the falls from road? 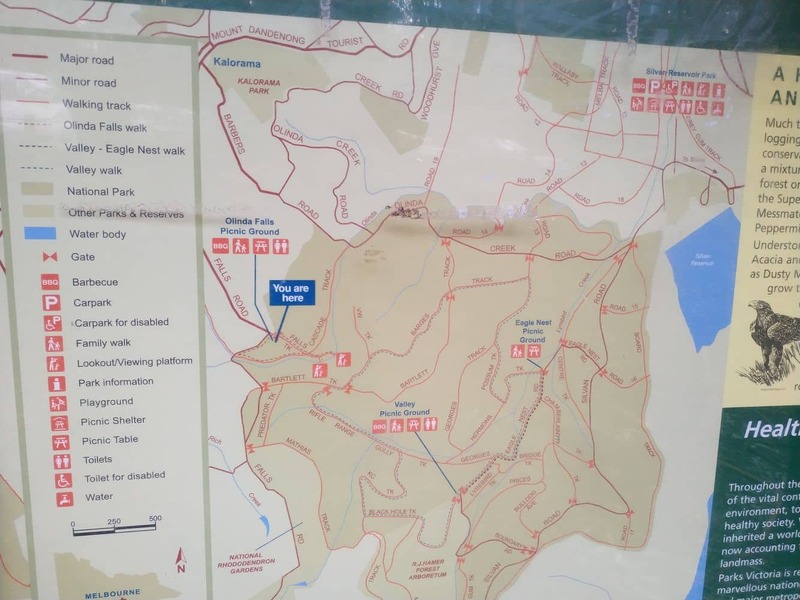 Referring to the signage that I took photos of when I visited the falls, the carpark to the top viewing platform is 340 metres, with a further 140 metres to the lower viewing platform. 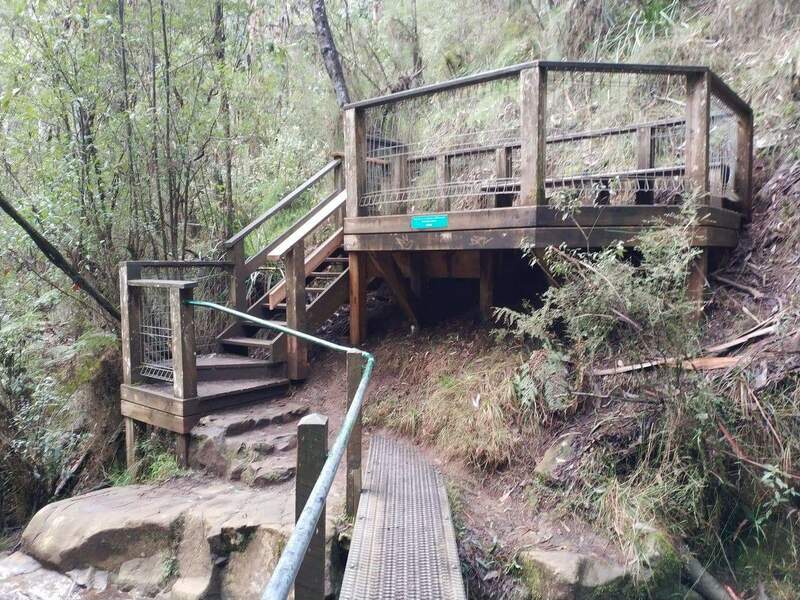 The grade is rated from moderate to steep, but from memory, it doesn’t get that bad until you reach the stairs right next to the falls (the rest is a sloped track). Hi, are dogs allowed on a lead of course? 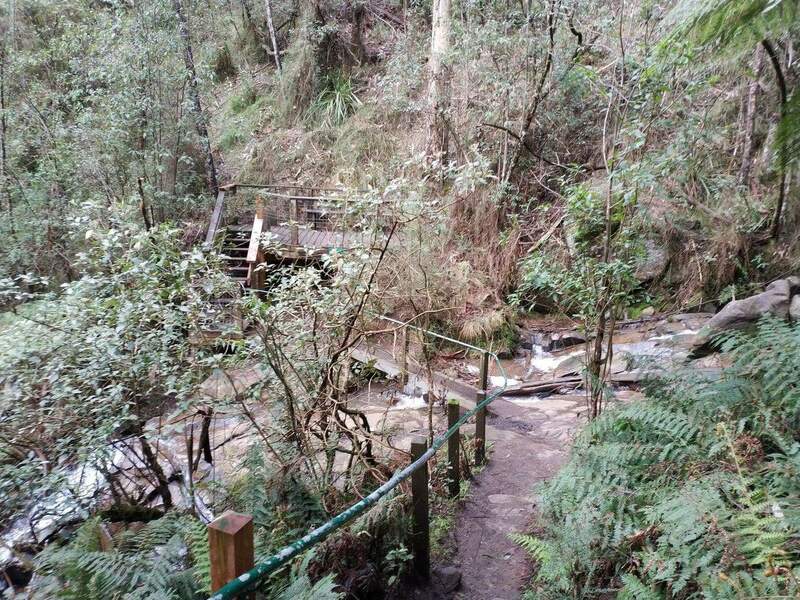 Unfortunately no, dogs are not permitted at Olinda Falls as it is located inside the Dandenong Ranges National Park. How much water flow is there at falls currently? Do they look all that impressive this time of year? The falls are flowing at the moment, but being the height of summer (and in the middle of a draught), they are not flowing at their highest. Hi! Can people swim in the Olinda falls? You are welcome to dangle your feet in the falls, but swimming is not permitted. In any event, with the current drought and hot temperatures, there isn’t likely to be much water flow at this time of year. Hello there, I’m a photographer who is looking for do a female model photoshoot in Olinda Falls. So i wanna know is that possible to use this location for a photoshoot and do we have to pay for it? Here is some information from Parks Victoria about filming and photography for business purposes. Amateur or hobby photographers with basic equipment, who are not making images commercially available, do not need a permit. The fees are located in the application form and are $129.00. Those who need a permit, must also have public liability insurance. Hello there, is it an easy walk too the falls from falls road? (Due to the person not being able too walk steep descents). The short path from Falls Road is natural earthen with a slope of approximately 1 in 12. The path to the falls is step free but has gradients exceeding 1 in 10. So I would classify it as an easy grade and should be able to be managed with a companion. Hello, are portable gas bbqs permitted at the Olinda falls picnic ground on days that are NOT total fire ban? So it seems BBQs are permitted to be used on non fire ban days. Check with the CFA for further information about total fire ban days here. My Fiance and I want to explore the Falls and take some photos. Our Furry Companion Blue would like to come as well. Are dogs allowed into the park on a lead? 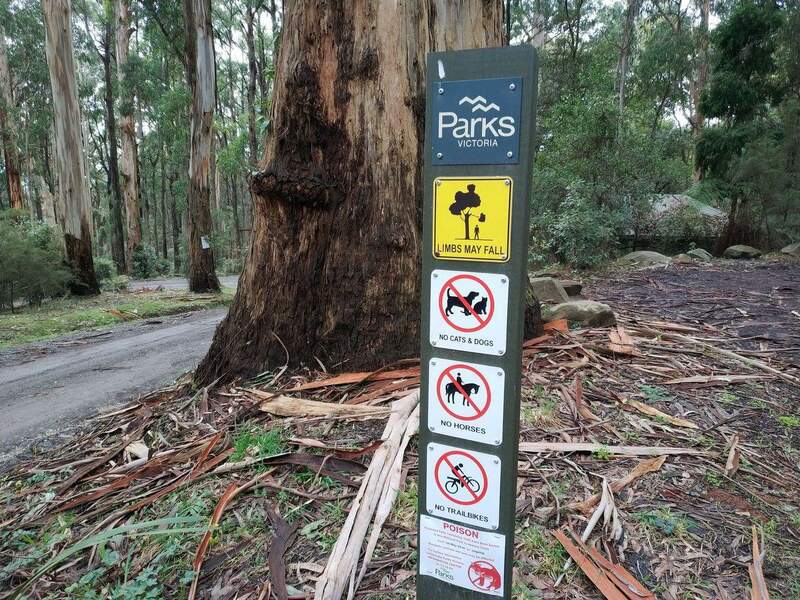 Unfortunately no, dogs are not permitted in the Dandenong Ranges National Park. 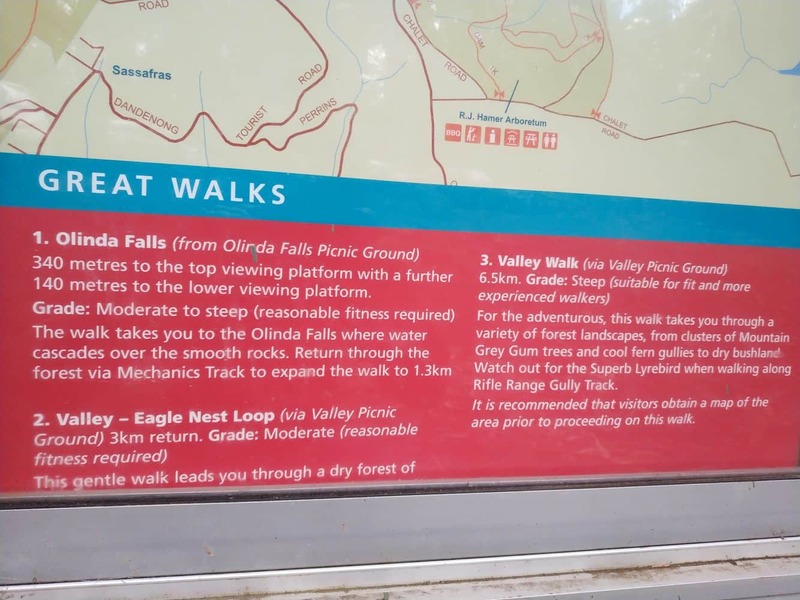 Here is the park note for Olinda Falls for some further info about the falls. 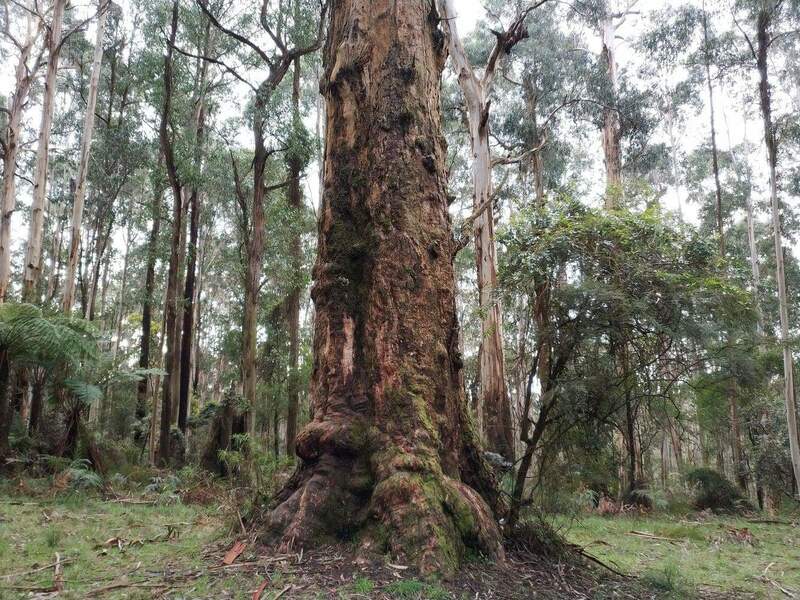 I am from Caulfield and want to visit Dandenong ranges national park. I am confused about how to go and things to do there. I am interested in visiting Olinda falls. Can you please guide me how to go there? What are the other places (specially falls) to visit there? 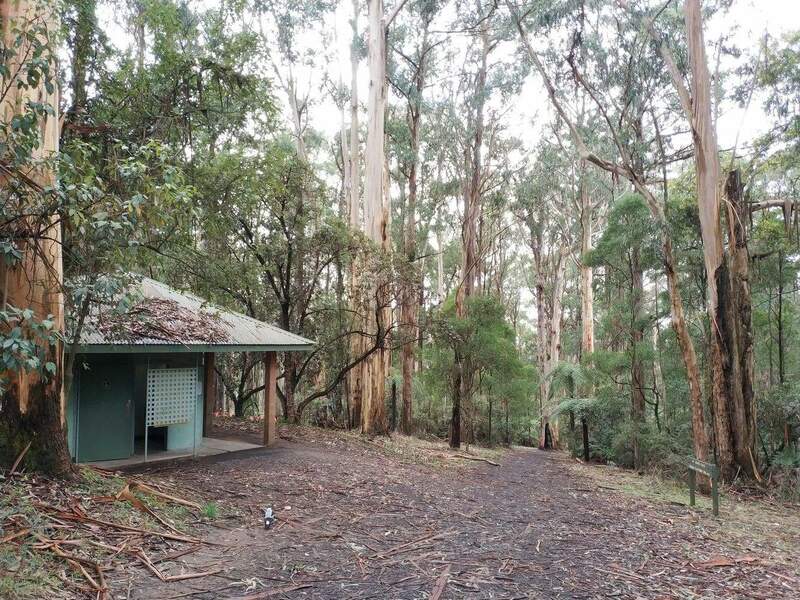 As for other things to do, you can visit William Ricketts Sanctuary, head up to Sky High Mount Dandenong and the National Rhododendron Gardens. These are some of the best attractions here. 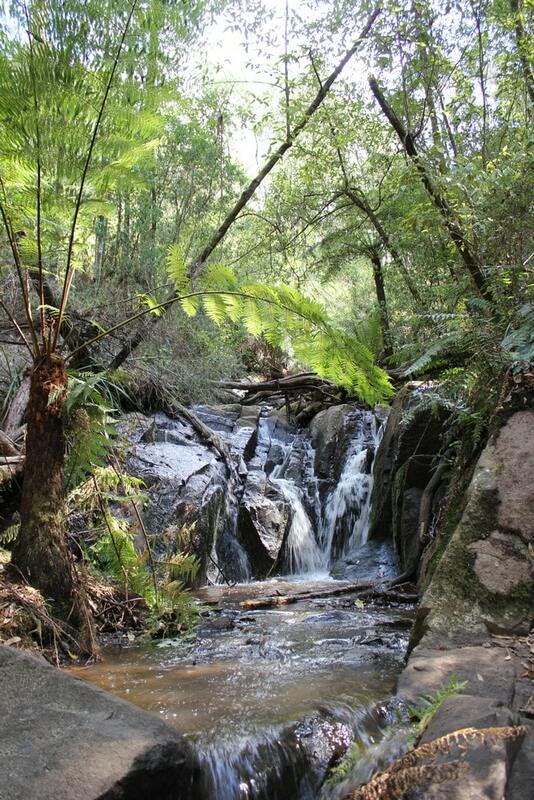 As for waterfalls, head south from Olinda Falls to Sherbrooke Falls. 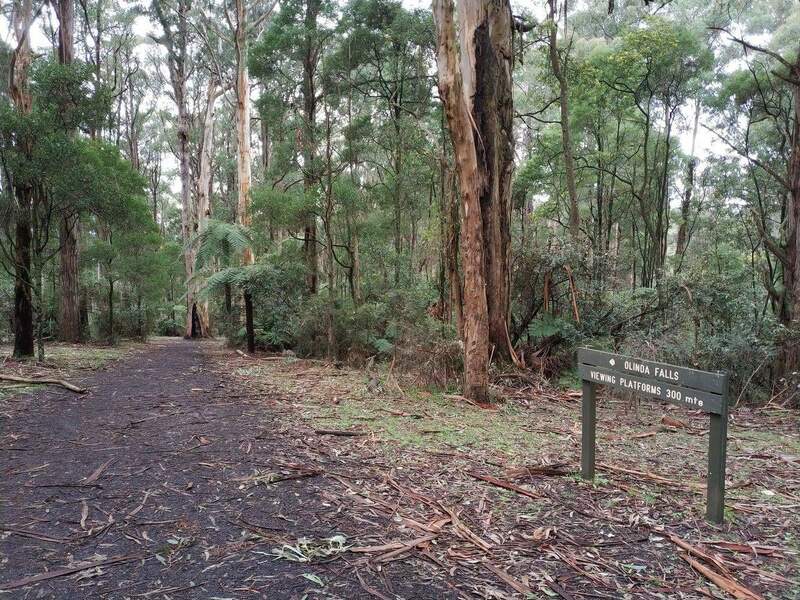 It is located only 10kms away and there are some lovely walking tracks around here. 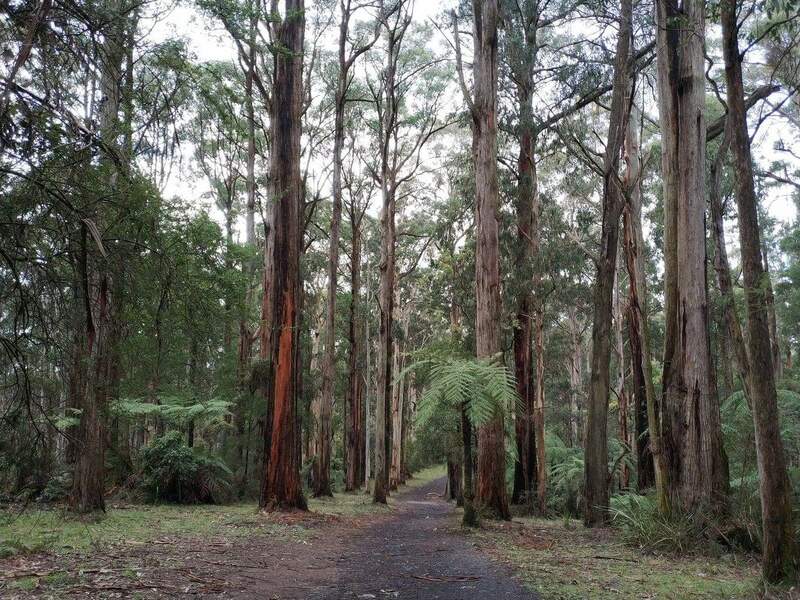 Have a great time in the Dandenong Ranges National Park! 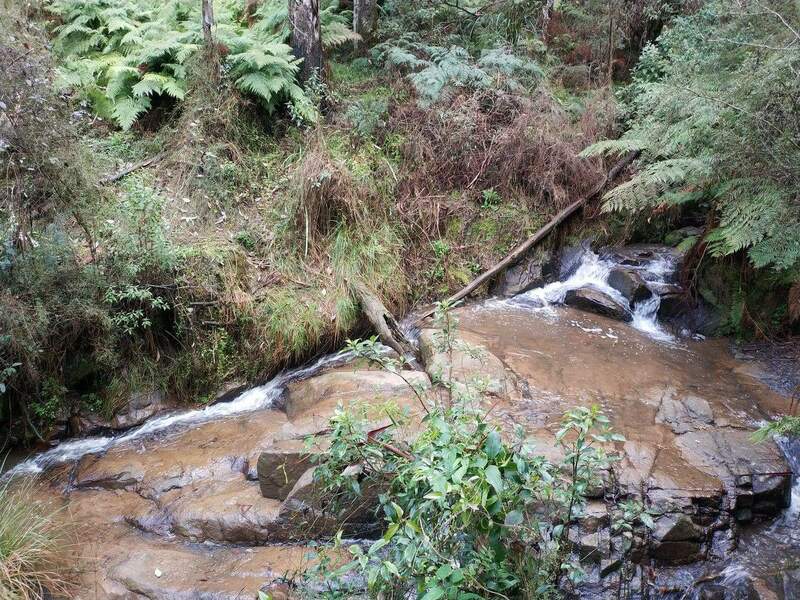 We will be arriving in Melbourne on Christmas Day and are hoping to visit the Dandenong Ranges on the way to the Yarra Valley. We will have a rented car. Could you please suggest some activities which we can do plus a restaurant for lunch? Firstly, welcome! You will have a great time in Melbourne over summer, there is heaps to do! So I am assuming that you want to do these activities on Christmas Day itself. 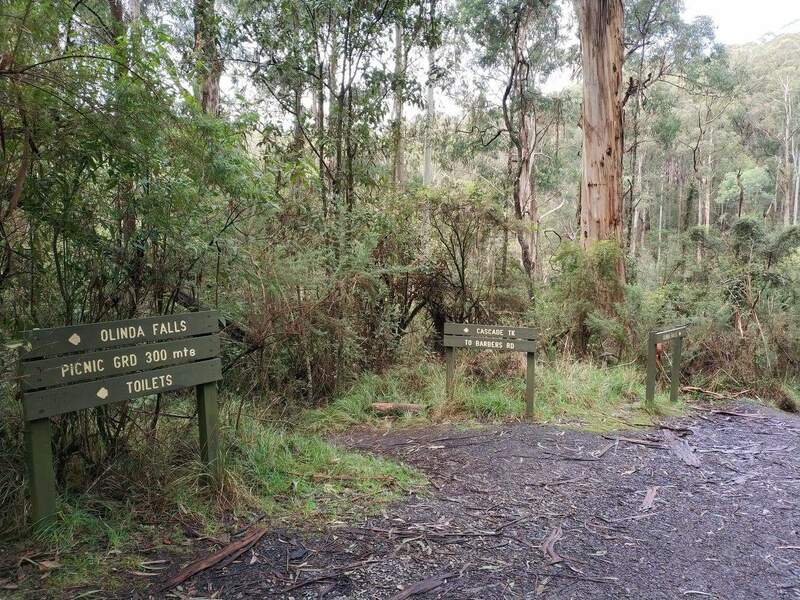 The National Park remains open year round, so you can drive the Black Spur and visit the Dandenong Ranges National Park, Olinda Falls (500m, 30 mins return. 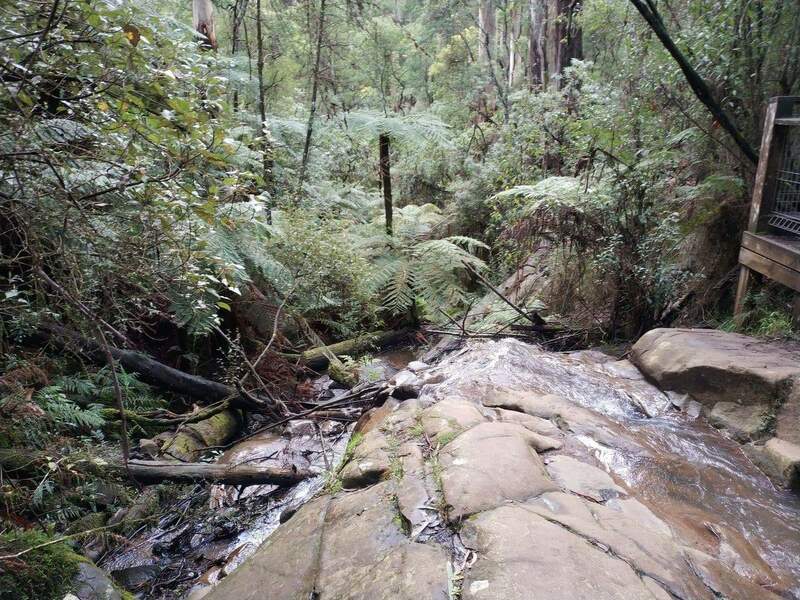 Grade: Easy to moderate) and Sherbrooke Falls (2.4 km, 1 hour return. Grade: Easy to Moderate). Take a walk through the forested areas and enjoy the warm summer sunshine. The trails are well marked and suitable for people of all abilities. Unfortunately the bigger attractions such as Puffing Billy, Rhododendron Gardens and William Ricketts Sanctuary will all be closed on Christmas Day, however will be open every other day of the year if you wish to drive back down during your stay in the Yarra Valley. 1. Cuckoo Restaurant – A German themed buffet that has music and entertainment throughout the day. 2. Sky High Mount Dandenong – A restaurant atop the Mountain with beautiful views of the Dandenong Ranges. Both require bookings in advance as they sell out each year. I hope this helps. Here is our website on the Yarra Valley if you are looking for things to do there. Can people do photo shoots at the falls? Professional photographers require a permit to do photo shoots in the park. 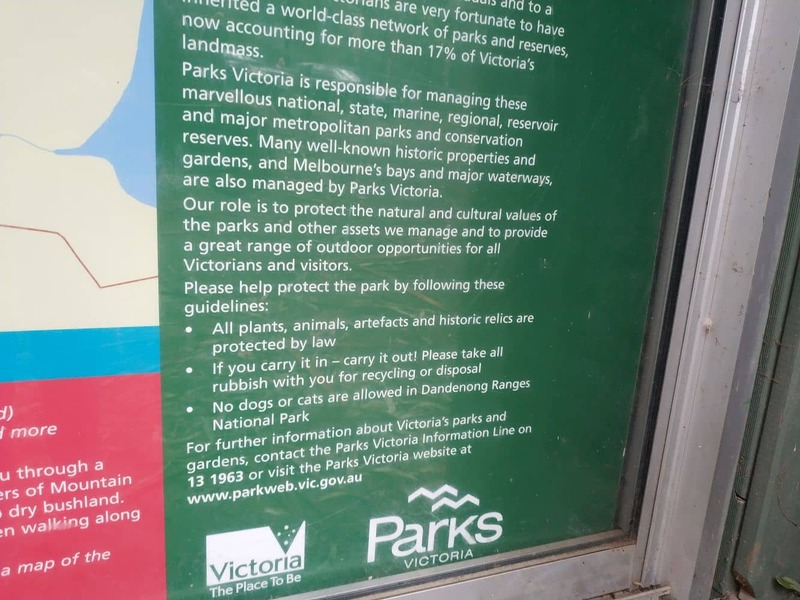 Please refer to the Parks Victoria website here which provides further detail. Thank you so very much for your prompt and succinct response!!! I will be doing the 1000 this weekend and I will keep you posted! 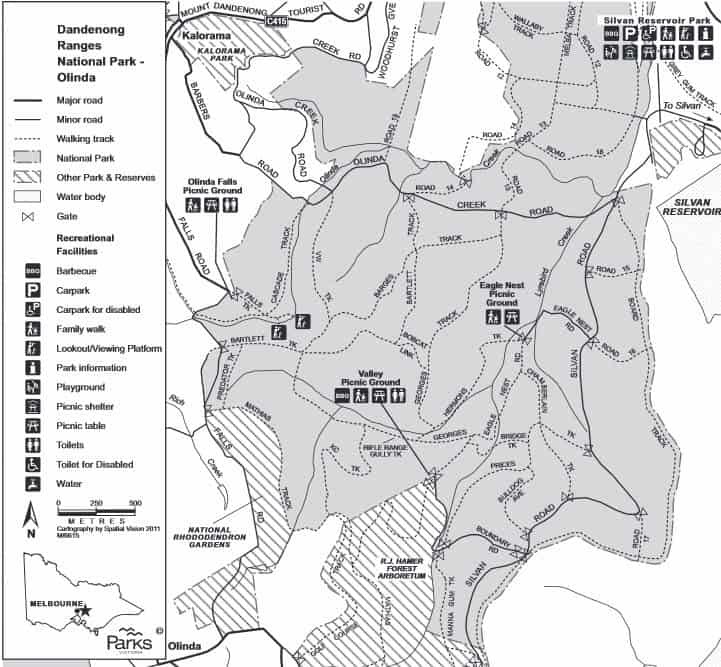 Hi, I’m wondering what the best way (if any) to access the Olinda falls via public transport would be? 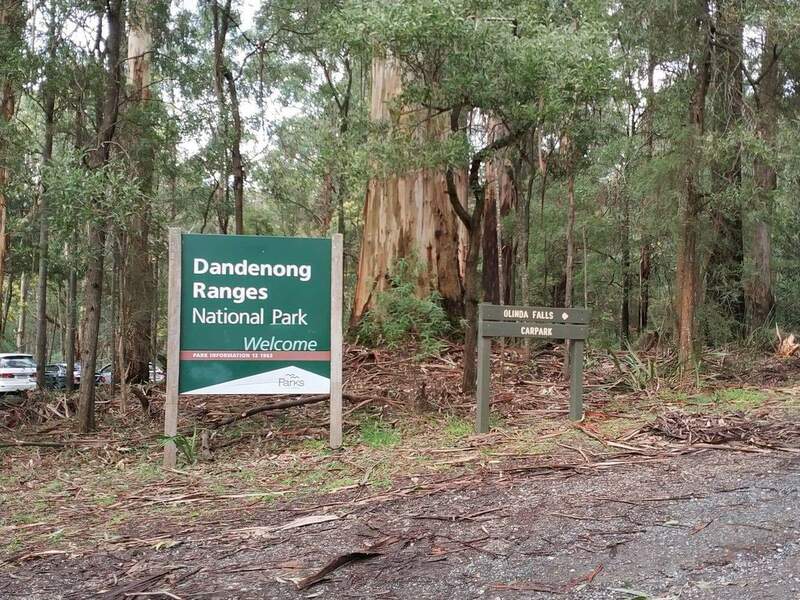 Yes, you can get to the Dandenong Ranges from the Melbourne CBD using public transport, however many of the sites are best accessed by car as the National Park covers a large area. Check http://www.metlinkmelbourne.com.au for scheduled times. 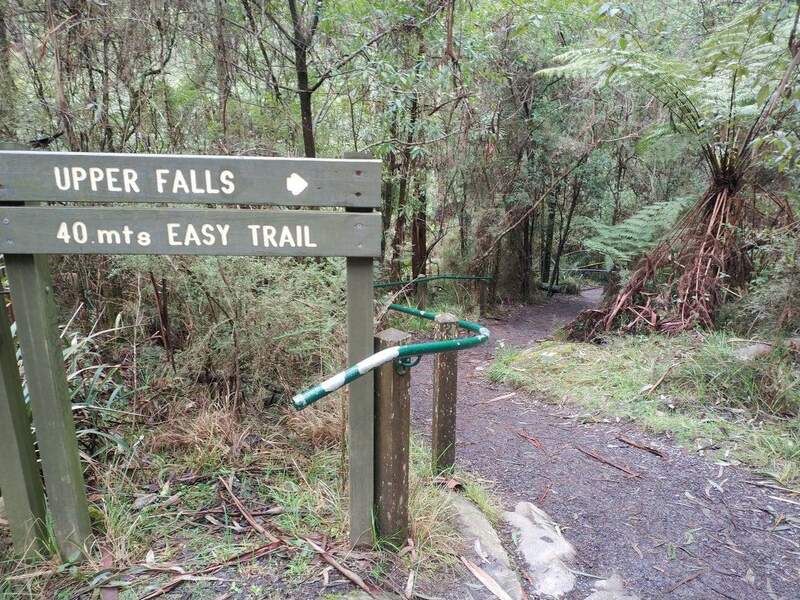 Just note that the falls themselves are around a 4km walk each way from Olinda.